BI-MU 2018 _ Milan Fieramilano Rho MCM SPA > HALL. 9 - STAND C18 - news - MCM S.p.A.
MCM will take part to 31.BI-MU, the main Italian machine tools trade show that will be held at FieraMilano Rho (Milan) from Oct. 9th to 13th ( www.bimu.it ). One of the main attractions at the MCM stand (C18, Hall 9) will be represented by a bi-rotary tilting head for the simultaneous 5-axes machining of hard to cut materials. The head is the key component of the Jet Five machines that MCM is supplying to an aircraft leading builder. It is a symbol of the company’s exclusive technological skills but also of the total knowledge of process technologies and of the capability of deep cooperation with both big and small companies to satisfy their machining needs. MCM’s participation to 31.BI-MU expresses the strong and historical attention that the company from Piacenza gives to the Italian market and to small and medium companies. 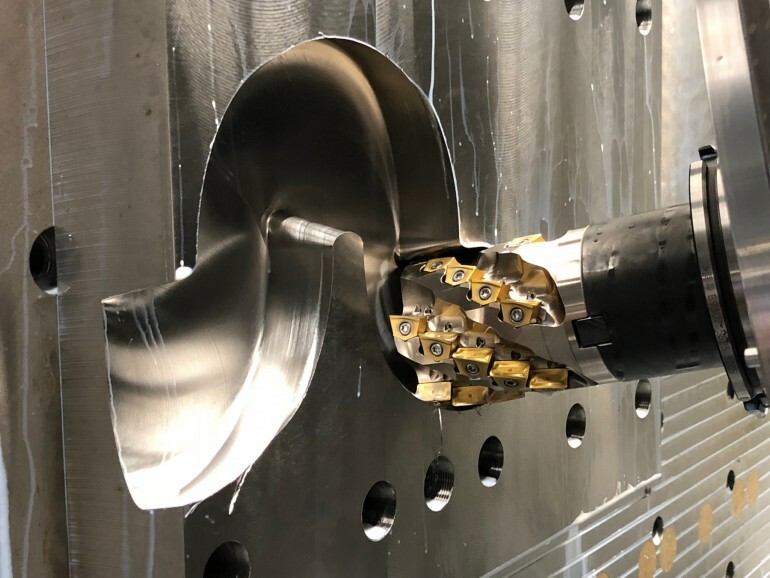 This is also confirmed by the continuous development of machining centers in ‘stand-alone’ configuration and of production cells that can be easily installed on OEMs’ and subcontractors’ shop floors. The wide products range offered by MCM (moreover completed by the production supervising software jFMX) makes possible to implement easily and quickly operating strategies aimed to a major autonomy of the production system, allowing, i.e., an optimal management of unmanned shifts. At MCM’s stand, visitors will be able to discuss about their manufacturing exigences with the MCM technical experts who will illustrate all details of the company’s offer.